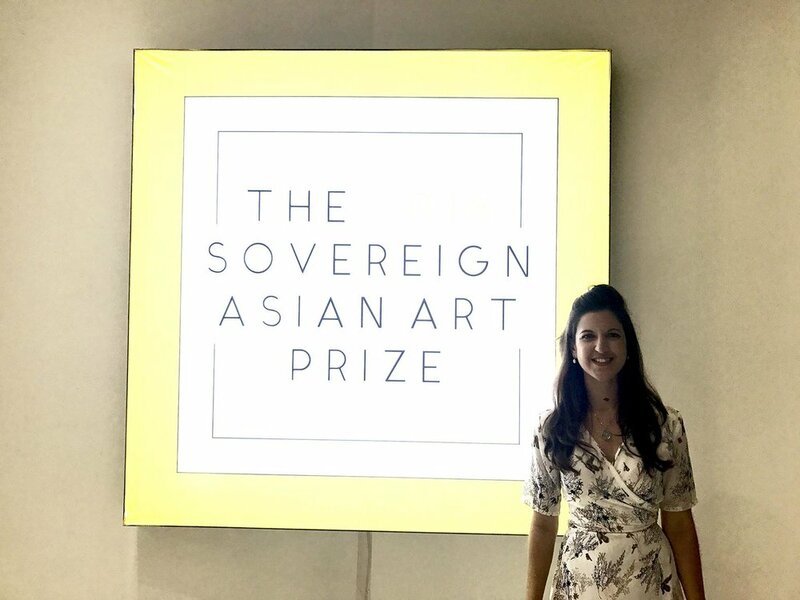 I am honoured to be shortlisted again for the Sovereign Asian Art Prize. The judging panel have selected my kinetic light sculpture which links the histories of Britain, Myanmar and Singapore, contrasting fortune and misfortune in the lives of migrant workers. There will be a public exhibition in Hong Kong from April 17 to 29, with a special cocktail reception on 16th April for all those who have been following and supporting my artistic career (rsvp below). This year sees the launch of The Vogue Hong Kong Women’s Art Prize, for which my work is also shortlisted, to be presented in partnership with the newly launched Vogue Hong Kong. Below I include more details about the artwork, and a video of it's original debut at Singapore Art Museum in 2017. Clockwork Moons is a series of 8 kinetic artworks exhibited as part of a solo exhibition at Singapore Art Museum. Created by drawing on paper using a burning process, each piece is mindfully inscribed using an incense stick to perforate the surface and create images in the voids left behind. The artworks showcase the stories of people who experience time differently. This particular piece is entitled Clockwork Moon (reclamation). It showcases the lives of migrant workers from Myanmar who work on land reclamation projects in Singapore. They find themselves mistreated and trapped in their employment, longing for home. Find out more about the story behind it here.